Colour, font and imaginative design all play a vital part in making each book stand out on the shelves. We have teamed up with Publishing Scotland, who will present an exhibition to celebrate the very best in contemporary book design and innovation as part of Book Week Scotland. Design by the Book: A Scottish Publishing Showcase will highlight distinctive contributions from a dynamic and diverse array of Scottish publishers and will go behind the scenes of the creative process. The cover of Amy Liptrot’s The Outrun was shortlisted for the best jacket/cover design category in the British Book Design and Production Awards. Designed Kai & Sunny, book is published by Canongate Books. Design by the Book: A Scottish Publishing Showcase will take place from Monday 21 November until Sunday 27 November at the Castle Vaults. Launching during Book Week Scotland, a week-long celebration of books and reading, the exhibition also marks the Year of Innovation, Architecture and Design. Edinburgh based writer, Sara Sheridan will also host an afternoon tea on Friday 25 November. The afternoon tea will not only include sweet treats but a reading from Sara Sheridan’s most recent publication, On Starlit Seas. Advance booking required! 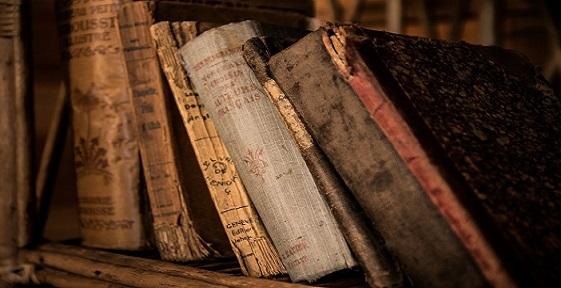 You don’t need to be a book worm to enjoy these events however like Marcus Tullius Cicero says ‘A room without books is like a body without soul’. Book Week Scotland is a week-long celebration of books and reading that takes place every November. Publishing Scotland is the network, trade and development body for Scotland’s sizeable book publishing sector.